On a chilly March weekend in Seoul, disabled and non-disabled performers from the U.K’s Candoco Dance Company examined individual struggles and triumphs, and the transformational potential of unity. As they danced onstage, members of the audience were breaking their own barriers and together seeing performance in a new light. 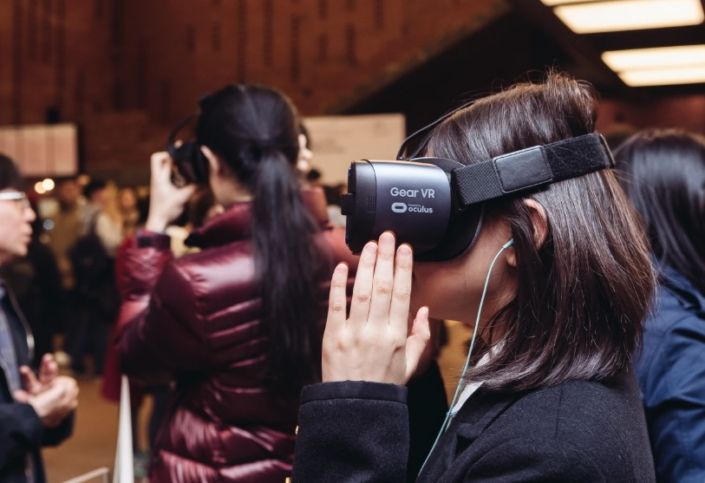 Assisted by Relúmĭno, Samsung’s vision-enhancing app, people with visual impairments were able to see the finer details, taking in the movements and the facial expressions of a live performance, many for the first time. As the world becomes increasingly fast-paced, everyone can feel that they are being left behind. The importance of accessibility and inclusion in both the arts and the field of technology has never felt more urgent. Directed by acclaimed Korean choreographer Eun-Me Ahn, Candoco’s performance tackled the subject of inclusion and accessibility head-on. Dancing together, disabled and non-disabled performers prompted the audience to consider life’s daily ups and downs, and the process of all people – with and without disabilities – finding balance in a complex society. Eun-Me Ahn explains the meaning behind ‘Good Morning, Everybody’, which evokes the moment early in the day when we greet each other. By its nature, dance is a visual medium of art, limiting access for those with low vision. However, the team behind Relúmĭno saw an opportunity to extend the reach of ‘Good Morning Everybody’ and amplify its message by further increasing accessibility. They invited people with visual impairments from all walks of life to the theater to watch using Relúmĭno. Users test and tune Relúmĭno with the developers before the performance. 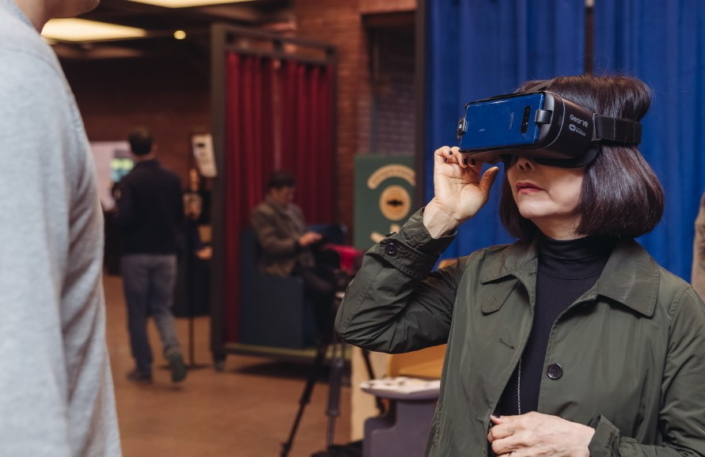 Even before the curtain rose, as Relúmĭno users tried on the VR headsets and adjusted the fit, excitement was buzzing around what they were about to see. Afterwards, it was clear that the piece had taken on a special meaning for those who viewed it through Relúmĭno. “It was an unforgettable moment for me. I could actually enjoy the play in the same space as other people and feel what the dancer wanted to deliver there and then.” Min-sol Kim (right) tells Relúmĭno developer Yong-Nam Kim. 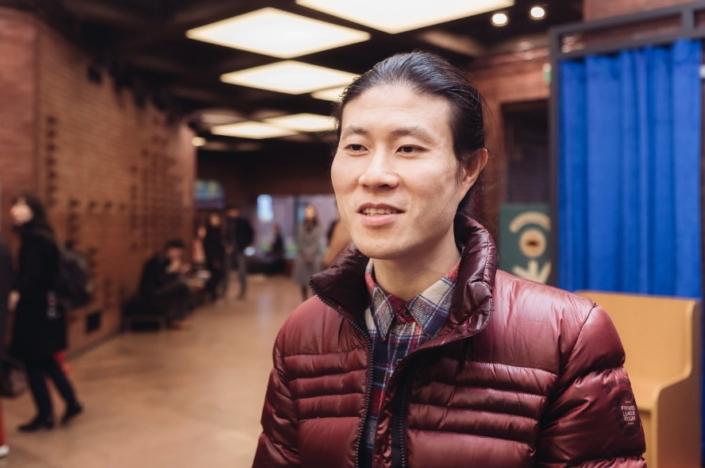 It was also a source of motivation for Gyu-cheol Shim, who suffers from macular degeneration but is himself overcoming the condition through performance and art. The developers were eager to talk to the audience and find out more about their experiences with Relúmĭno. Conversations like these inspire the team, helping them to appreciate the impact that the application has on its users. From left: Relúmĭno developers Chan-won Lee, Jung-hoon Cho and Yong-nam Kim. 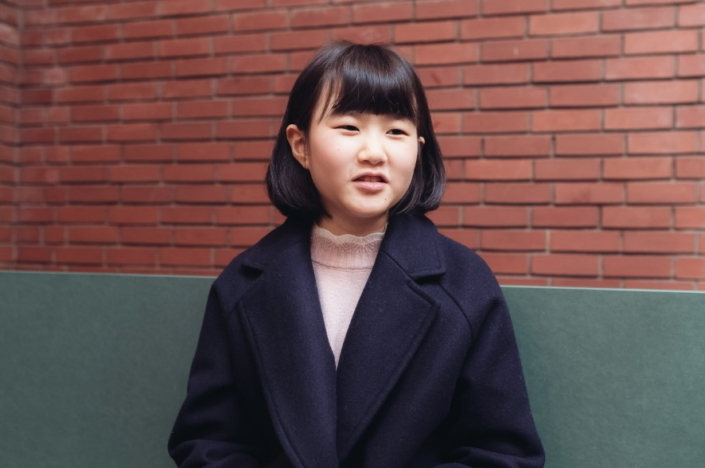 Previously, insights from Young-suh Noh, for example, led to the development of a function which allowed the talented pianist to quickly switch between reading music and looking at the piano keys, greatly improving the speed at which he could read and learn new music. The stage is a place which is at once unique for each individual and inclusive of everyone, and where barriers are repeatedly broken. Just as Candoco Dance Company is bringing down the wall between disabilities and art through their performances, ‘Relúmĭno’ hopes to bring down the wall between people with visual impairments and live performance.